March 26, 2018 -- Westchester County District Attorney Anthony A. Scarpino, Jr. announced today that Errol Hillary (DOB 12/30/76) of the Bronx has been found guilty in the murder of a Mount Vernon nightclub co-owner and the wounding of five other men in the club on Christmas Day, 2016. Summations in the case were heard Friday, March 23, and the jury returned to court Monday morning and delivered their verdict later in the day. Judge David Zuckerman presided. Hillary faces 25 years to life on the count of Murder in the Second Degree, 25 years for each of the five counts of Attempted Murder in the Second Degree, and 15 years on one count of Criminal Possession of a Weapon. He is scheduled to appear for sentencing April 30, 2018. On Dec. 25, 2016, at approximately 2:50 a.m., the defendant entered “The Mansion,” a nightclub located at 4 North Third Avenue, Mount Vernon where a Christmas party was being held. While inside the club, the defendant became agitated and began to cause a disturbance. When security asked him to leave, the defendant began to fight with two members of the security team. Security attempted to forcibly remove the defendant by dragging him to the front door. O’Neil Bandoo, the co-owner and manager of the club, was standing outside with a friend of the defendant who was the head of security at The Mansion, when they heard the commotion. The two men entered the club and asked Hillary to comply with security and leave. That is when the defendant walked toward the front door, grabbed a 9mm firearm from on his person and began shooting back into the hallway. 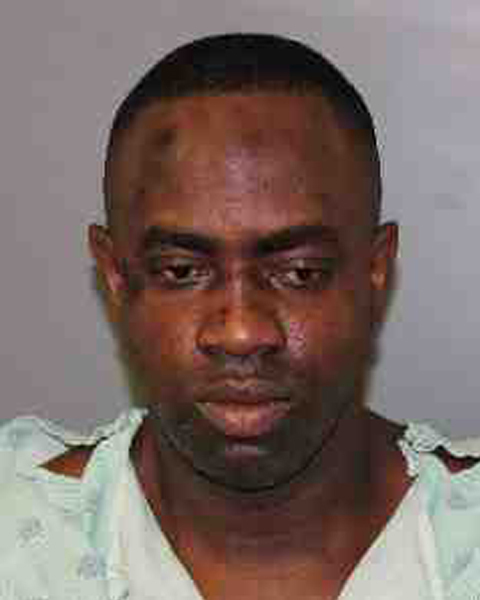 Hillary shot O’Neil Bandoo, 36, one time in the chest killing him. He continued firing his pistol and seriously wounded five others in the hallway. Some suffered multiple gunshot wounds and sustained life-altering injuries. While the defendant fired into the hallway he was tackled by the head of security who was able to disarm him. Mount Vernon Police officers arrested Hillary as he fled the scene. At the time of this shooting, the defendant had been released on $200,000 bail for another shooting in the Bronx where he was charged with Attempted Murder in the Second Degree. That case is still open and pending. This case was prosecuted by Assistant District Attorney Lana Hochheiser, Deputy Chief of the Homicide Bureau, and Deputy District Attorney Timothy Ward of the Superior Court Trial Division.